If you are looking for creative ways to spruce up your yard and showcase its beauty, some brick landscaping might be your best friend. The fall is a beautiful season in the Plainfield area, and there is still some time left to turn your back yard into the ultimate location for a stay-cation. Mild temperatures will allow for some more time to enjoy the scenery. Bricks can help you accent the natural features of your lawn. They are great for building patios, walkways, driveways and more. But they can be used in less traditional ways as well. Brick around a tree, shrub or bush – This allows the trees and plants in your yard to stand out. It forms a separation from the planting soil or mulch, and the continuation of your yard. Brick landscaping around your gardens – Do you have gardens with multiple plants and flowers? Brick will accentuate the beauty of your plants, also creating a barrier between your decorative areas and the lawn. 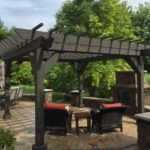 Mixed in with stone or pavers – There is no hard and fast rule suggesting that you need to use the same landscaping materials through your entire patio. 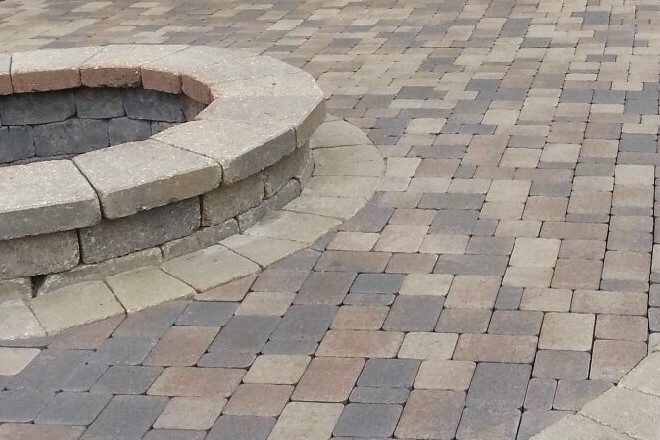 A brick and stone, or brick and paver combination could create a beautiful design that will make your patio stand out. Brick along the sides of your driveway – Do you have a narrow driveway, or a driveway with twists or turns? Laying brick would not only accentuate its beauty, but serve as a marker for cars coming in or backing out. Brick along the side of a driveway could serve a nice safety purpose for drivers. Walkways through gardens – Do you have a large garden in your back yard? It might be worth allowing people to walk through it without stepping on your flowers or plants. A walkway through the middle of your garden may be the solution. Are you looking for new ways to incorporate brick into your landscaping? Contact a Plainfield area landscaping company to help you determine what you are looking for. Sure you can complete these projects yourself, but hiring a professional landscaping company can help you ensure a beautiful look for years to come.